This exciting new title is the first book on keeping Australian invertebrates; previously, only titles on European or American species were available. 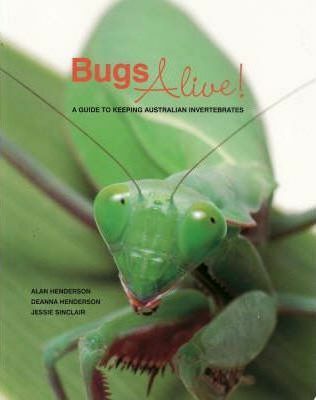 Bugs Alive contains detailed descriptions (life-cycle, breeding, feeding) of over 90 species, as well as detailed instructions for housing and caring for your bug. Stunning colour photographs and line-art are used extensively throughout the book to display and describe animals and their anatomy, as well as to depict construction of housing and environment.